Goodreads says, "When Jessica Farris signs up for a psychology study conducted by the mysterious Dr. Shields, she thinks all she’ll have to do is answer a few questions, collect her money, and leave. Question #1: Could you tell a lie without feeling guilt? But as the questions grow more and more intense and invasive and the sessions become outings where Jess is told what to wear and how to act, she begins to feel as though Dr. Shields may know what she’s thinking… and what she’s hiding. Question #2: Have you ever deeply hurt someone you care about? As Jess’s paranoia grows, it becomes clear that she can no longer trust what in her life is real, and what is one of Dr. Shields’ manipulative experiments. Caught in a web of deceit and jealousy, Jess quickly learns that some obsessions can be deadly. Question #3: Should a punishment always fit the crime? From the authors of the blockbuster bestseller The Wife Between Us comes an electrifying new novel about doubt, passion, and just how much you can trust someone." Jessica has left her suburban town to try and make it in New York City. She is a makeup artist and she is struggling to get by. When she is applying makeup for a young client, she overhears her talk about an appointment she has with a psychologist and in turn she will get paid $500 to take her survey. Jessica feels that's a lot of money for one simple questionnaire and not only would that extra money help pay her rent, it would also help pay for her sister's appointments as she is special needs. So, Jessica goes to the psychology appointment posing as one of her clients and in turn realizes that this study is, ironically, all about morals. The questions are about lying, guilt, cheating and they challenge Jessica to examine her past as well as her lifestyle. But it's worth it, right? Chapters are also from the doctor's perspective, as she is the one running the study. Dr. Shields quickly picks up on the fact that Jessica has lied to be there and in turn is greatly intrigued. As the story continues, we realize that Dr. Shields has some serious plans in store for Jessica and ultimately, Jessica is wondering if this is truly worth all the extra money. Is she in too deep now? 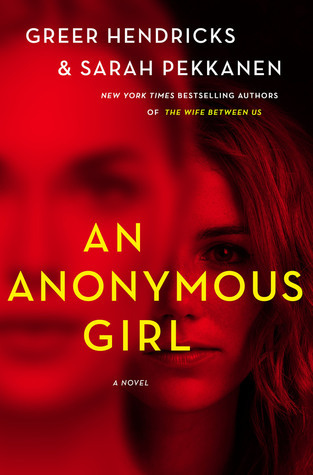 Greer Hendricks and Sarah Pekkanen's An Anonymous Girl isn't the psychological thriller I was hoping for, but it was a fun ride. Jessica is one of those characters that you aren't quite sure about in An Anonymous Girl. She is lying to attend the study right off the bat, so that's not a smart move, but readers can empathize as to why she is going. Money for her family is a big motive and slowly we realize more of her past, which in turn helps us to understand why Jessica not only wants to try and make it in the big city, but also wants to help financially support her sister. Jessica is one of those characters where you are thinking, "NOPE. Don't do it" and they inevitably make the worse decision possible. Consequently, Jessica finds herself in a bit of a jam in An Anonymous Girl. Then there's Dr. Shields. I don't want to give too much away regarding Dr. Shields, but she is quite a character. She kept me guessing and kept me on my toes. She is complex and someone I didn't trust right off the bat. As readers peel back her layers, more and more shocking information is revealed. But here's the thing. I didn't find Jessica or Dr. Shields to be believable in the very least. An Anonymous Girl requires so much suspension of my disbelief in order to just enjoy the crazy ride, so for me, this was a major downfall. I also didn't care about Jessica or Dr. Shields either. I was entertained by them, but they were too tragically flawed for me to truly care about them. So, in all, I didn't find An Anonymous Girl to be as compelling as The Wife Between Us. 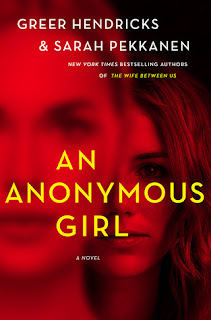 An Anonymous Girl is one of the most talked about books of 2019, but I have to say I just thought it was ok. Not great, not awful...but yes, somewhat entertaining. To be honest, I expected so much more from these two powerhouse writers. 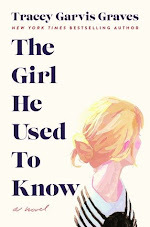 Did you read An Anonymous Girl? Let me know your thoughts in the comments below. This duo's books are so hyped, yet I can't really get myself to read them! I know! The Wife Between Us was good, but this book was overhyped.....completely agree! 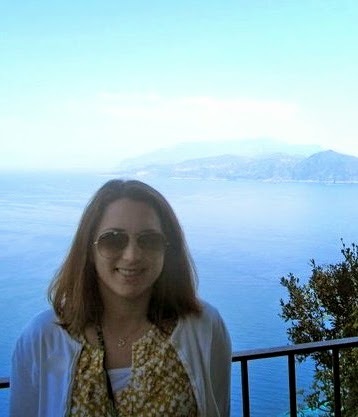 Thanks for visiting, Angela!